It takes a bit of patience and unconditional love to help your child learn the basics of good oral care habits. Though small in sizes, baby teeth demands huge attention so your child can experience admirable childhood years that are free from cavities. When it comes to gum care, using a soft and moistened washcloth after feeding time is highly advisable. Once their teeth have started to pop up, you can clean their teeth twice a day with a toddler toothbrush. In addition, you can also floss their baby teeth so as to help reduce the risk of tooth decay. There might be times that cleaning your baby’s teeth is one of the toughest tasks you’ll ever have as a parent. But you must not be defeated with their tantrums, take it as a challenge instead. After all, your efforts will pay off when they grow up possessing healthy smiles. Make exciting rules or amusing storyline. When your child gets interested, they can positively take the clean. Show them you are also doing the same thing because it’s essential to life. This can help you and your child to be diligent with your hygiene habits. Kids are more attractive to colorful and cute stuff. You can buy toothbrushes with fun designs or toothpastes with cartoon characters printed on the tubes. Make sure that you go for soft-bristled brush and toothpaste suitable for baby teeth. Fill your child’s two minutes of mouth cleaning with the help of music. This is actually a fun distraction. You can download songs that are perfect for baby’s tooth brushing moments from YouTube, Google Play and the like. Record your child’s success in brushing within the day. Create a reward scheme, not food related though, as this may help boost their interest in oral hygiene when they know a prize awaits for them for a job well done. Children are not born acquiring bacteria or germs that cause tooth decay. The bacteria can be passed over to their mouth on dummies, baby bottles and spoon. Parents and guardians must keep their delicate teeth and gums healthy with the help of daily oral hygiene routine such as brushing and flossing. This is since your child’s baby teeth will serve as placeholders for their adult teeth. Help your child experience healthy teeth for life through visiting your reliable Penrith dentist. 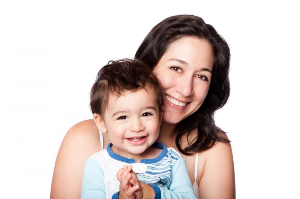 Your oral-health experts here at Penrith Dental Clinic are committed to helping you get a more efficient and professional way of caring your baby’s delicate teeth. Through our comprehensive dental treatments, your child can gain a total oral health wellness. Contact us today for our FREE Dental Consultation for emergency appointments or claim our PAY NO GAP offer for General Dental Treatments if you have a health fund. Call us on (02) 4721 7771 or simply book your appointment online.